Compost is the black gold of home gardening. Farmers have used manure and other decomposing organic material to nourish crops since ancient Mesopotamian times, and for good reason. Not only does it fertilize and condition the soil with high levels of nutrients, but it also aids with erosion control and pest management. By reducing the need for chemical fertilizer inputs and recycling household waste, you’ll also be saving money and benefiting the environment. When food scraps, plant debris and other organic material are moistened and heaped together, bacteria and other naturally-occurring microorganisms break down the matter into humus rich in readily-available minerals and nutrients. It also has an ideal structure to supplement the soil, as its high porosity means lots of air pockets and good water-retention, and its looseness contributes to wider and deeper root growth, beneficial to both the soil and plants. With a little help from some hungry microbes, composting for your home garden can be as easy as watching a plant grow… except in this case you’ll be watching them break down. 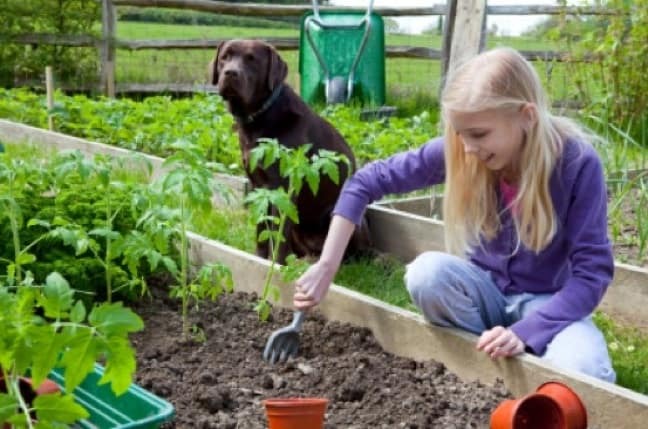 To compost successfully, there are three important factors that may require some practice to properly balance: moisture, heat and aeration. 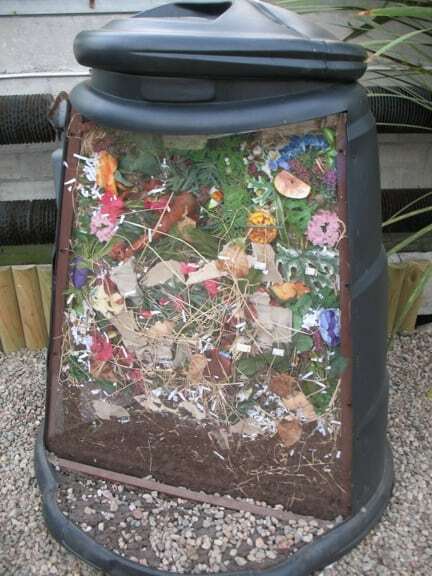 Begin by collecting food waste and plant debris outside in a bin. If you choose to build your bin from wood or scraps, ensure the pieces are untreated, as chemicals can leech into the compost. A lid can be helpful to keep out excess snow or rain, but is not necessary. Keep in mind that better aeration can be achieved by using a slatted or caged bin with a lot of air exposure. Some larger-scale compost heaps use no bin at all, instead gathering it on concrete and covering with a tarp. Use equal parts yard debris and food scraps for the best blend of “brown” and “green” materials (such as dried leaves and fresh vegetables, respectively) and pour water over it whenever it appears dry. Damp, but not wet, is ideal. Using a good mix of materials will aid with drainage and speedier decomposition. Turning the pile regularly will also aid with decomposition, and water that drains from the heap can be collected and used as liquid fertilizer. Any temperature above freezing will allow the material to break down, though higher temperatures speed up the process. Finding a good location for the bin with direct sunlight and wind protection can be very helpful for keeping temperatures high.